Given Nigeria's history of widespread corruption of public office holders, Nigerians have very low expectations of politicians. No wonder the masses met the advent of democracy in 1999 with a large dose of skepticism. Some of my friends were saying then 'make we see if em go work'. 1999 has come and gone,we are now in the year 2009.Democracy is still existing in Nigeria.I can never forget when thousands of Imo state indigenes were at the Dan Ayiam Stadium, Owerri ,on May 29 2007 to witness the inauguration of Chief Ikedi Ohakim the fourth Civilian Governor of Imo State. Many people treated the event with indifference. However, another group believed something big was about to happen and kept preaching the need for people to reboot their hopes. Members of this group, however, were very few .I was part of this “ very few” group. Imo people's expectations of good performances have been severally shredded by the last governor, who take office and promise so much and achieve spectacularly little. To the pleasant surprise of Nigerians, some politicians in Nigeria are distinguishing themselves in the quality of leadership they are offering their people. Ikedi Ohakim of Imo state is one of them. With 2 years in office so far, Governor Ikedi Ohakim of Imo state is leaving a legacy of service. I recently went round Imo state in 2 weeks, talking to citizens and site seeing the landmark achievements of this Governor. Ikedi ohakim should be holding his head high now. The Governed and observers in Imo state are at a consensus that he is one of the top achievers in governance. His government marked the dawn of a new era in Imo state which is what governance should be, that is, governing for the good of the people. Those who thought he will be another lame dock Governor have been proved wrong. Orji Uzor Kalu, former Governor of Abia State is always praising Ohakim for doing well for Imo state, putting the state on the fast track of development. Ohakim met squalor in the cities when he came into power, a mountain of debt and a state that was bereft of leadership for 8 years. His first point of intervention was the area of environment through the clean and green initiative. Whoever that has been to Owerri these days need not be told that Owerri is now indeed a clean city. I parked my car at a place in Owerri ,recently, bought banana and was eating and throwing the peel on the floor when two boys gently came to me, “Oga,you go pick am o.We no dey throw dirty any how for Owerri-o” It was then that I realize myself. I had to pick the banana peel and put into my car. The volume of compliments and congratulatory messages that has greeted Governor Ikedi Godson Ohakim's second year in office goes to show that success is good. The complex set of initiative that is putting smiles on the faces of Imo people today is what has been branded the new face of Imo. 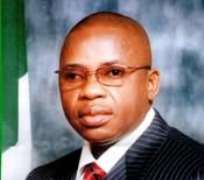 Having served as Commissioner for Commerce and Tourism in the administration of the late Chief Evans Enwenrem, Ohakim was aware of the depth of the people's distrust. In eight years under the immediate past administration of Achike Udenwa, Owerri, the once squeaky clean state capital became a city of copious filth. Mounds of refuse conspired with poor infrastructure, illegally erected structures and a soaring crime rate mutilate the city's once beautiful face. Realising the importance of a clean environment, Chief Ikedi Ohakim launched his transformational Clean and Green Initiative in August 2007.Ohakim had said, “we shall recreate Imo State to become a Garden State and Owerri, the jewel in its crown, into a sparkling clean and alluring metropolis where flowers bloom and the fields are Chlorophyll green all year round.”There is a monumental transformation of Owerri and Imo State via the Gov Ikedi Ohakim administration . Using the instrumentality of Imo State Environmental Transformation Committee (ENTRACO), Owerri which had become a shanty town sitting on a refuse heap has been restored to a “Clean and Green”, city. The programme, has changed the face of the state, transforming it into an investors first choice. This programme has restored the state, especially the capital city Owerri into one of the cleanest places in Nigeria. The drainage system has been cleanest walkways provided along major roads and more than 3000 unsightly billboards pulled down. The capital has also been rid of over 1000 abandoned vehicles, which had littered the city evacuated hundred of metric tons of refuse. However, the beatification process has been progressing with the greening of the road shoulders. The dredging of the Nworie River is still on-going, which will boost tourism potentials to the state in the long run when completed. The construction of roads in the state to boost transport and tourism potentials. The painting of all walls in every major street in Owerri has boosted the aesthetic value of the city. With the state of the bad roads networks in the rural areas, the Imo state government has embarked on a program know as the Imo Rural Maintenance Agency ( IRROMA) to address the needed development of the rural communities thereby providing a more reliable road access to various rural communities.IRROMA is opening up the neglected rural areas and will link all parts of the state as a part of the plan to make Imo State a one-city state and boost socio-economic activities of the state. IRROMA hopes to recreate the glorious days of the Public Works Department (PWD) of old. It aims at creating an active Works Department in each of the 27 local government areas of Imo State. Apart from ensuring constant maintenance and rehabilitation of the rural roads and infrastructures, IRROMA will create jobs for over 3,000 unemployed youths in the interim period and expand its structure and workforce with time. IRROMA employed 27 Civil Engineers to drive the initiative in each of the 27 local government areas, 27 Supervisors, 27 Drivers, 27 Equipment Maintenance Personnel and several skilled and semi-skilled workers to work in the Works Department in a move aimed at unleashing a rural revolution in Imo State. There are further plans to turn thousands of idle youths in the rural areas into casual workers that would drive IRROMA and turn them into the experienced staff that will continue driving this initiative thereafter. IRROMA was given a mandate to deliver 300 rural roads in one month. The beautiful thing about the IRROMA initiative is that it is a sustainable program that will work all year round, to not only open newer roads and accesses but also regularly maintain these roads in all seasons. Again, it works with communities making presentations about roads they feel should be worked on and getting responses in record time. A bigger and better equipped state IRROMA stands by to work on bigger challenges and fix the urban roads. A maintenance workshop has been established in Naze, near Owerri to ensure the equipments are regularly maintained. There is a plan to continue expanding the equipment and staff of IRROMA to become mini-construction companies and there are plans to upgrade the status of roads IRROMA will do in the rural areas. Further, there are plans to set up an asphalt plant, as parts of the larger IRROMA plan to ensure consistent supply of asphalt for Imo roads. A South African Company, Leader Group South Africa Pty Ltd have signed a Memorandum of Understanding with Imo State Government to develop Commercial Agriculture to a level that will make an impact on food security. The aim of this development is to establish 10-15 commercial farms of >500 ha each that will include: 200-300 ha irrigation in various arable areas of the State. Food security and self reliance is the major objectives. One way to achieve this is through the implementation of large scale farming. The project name that was decided on is Agro Nova and a company with the same name was registered in Nigeria. There is massive rehabilitation of existing roads in Imo state and construction of new ones as well as putting in place Operation festival, an initiative that has greatly reduced crime in Imo state. Already, road contracts worth over N30billion have been awarded. Also, all the roads leading to the state capital are being dualised. These are the Orlu, Okigwe and Umuahia roads. In addition, two ring roads have being proposed to decongest and divert vehicular traffic to and from Owerri. Street lights, which had gone on vacation before Ohakim came, have been reactivated, using solar technology. Across the state,at my count, a total of 33 roads are currently being built,there may be more. Contractors were paid 30 per cent in mobilisation fees and this measure ensured that about 20 roads were completed under one year. “Operation Festival,” a security initiative launched is producing effective collaboration between security agencies and vigilance groups, which were provided with communication facilities that link them to divisional police stations as well as vehicles for mobility. Imo Municipal Transport scheme with many brand new 18-seater mini buses and taxis for intra-city service in Owerri and its suburbs. The taxis and mini buses supplement a fleet of brand-new luxury city bus, the first of its kind in the history of Imo state.Agric scheme for large-scale rice production and palm produce. In fact, the rice project is already yielding dividends that the public can see at the Owerri Stadium, while the oil palm project is targeted at one million palm threes in 2011. Imo state is an oil producing state, but is completely free of the youth restiveness common in other oil states. The trick is the administration's sensitivity and quick response to the needs of oil producing communities.I remember one time when cultists invaded Mmahu-Egbema , a community in Ohaji/Egbema L.G.A,Ohakim in conjunction with Mike Okiro(IGP)sent 30 policemen to flush out the cultists.Mmahu is peaceful since then. In education, Ohakim's has done remarkable things. His administration built so many 33 model blocks for adult and informal education, employed about 1000 teachers, awarded scholarships to physically-challenged secondary school students. Distributed desks to so many schools in Imo state.Imo job center has employed over 1000 youths. Ohakim embarked on the rehabilitation of many abandoned electrification projects, 33 of which were completed within one year. 33 water schemes have been completed including 27 micro-water schemes. These were rehabilitated in collaboration with UNICEF. Those rehabilitated included the Orji Funnel Tank and Egbu Tank Site, each of which was fitted with a 2000KVA transformer and 1000KVA generator. The most remarkable, however, was the giant Okigwe Regional Water Scheme, commissioned by President Umar Yar'Adua. One can go on and on, for the list is very long.I join other well meaning Igbo people in Nigeria and abroad to say well done,keep it up,to the Imo state Governor. Ikedi Ohakim Ndenwo,gaba n'iru.